To enjoy MSI member service faster in one click. 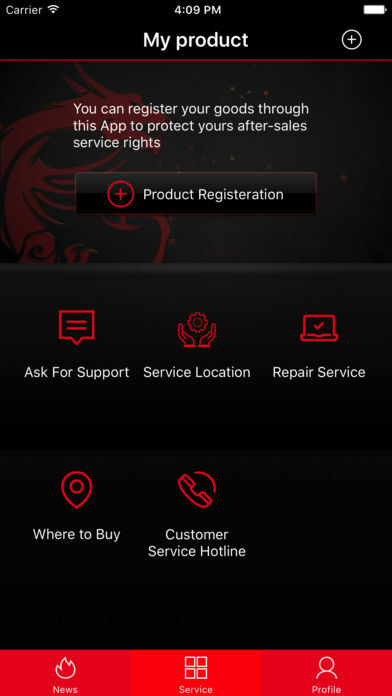 MSI GameBot provides all MSI service including product registration, online service, Rewards, repair checking & where to buy in one app. 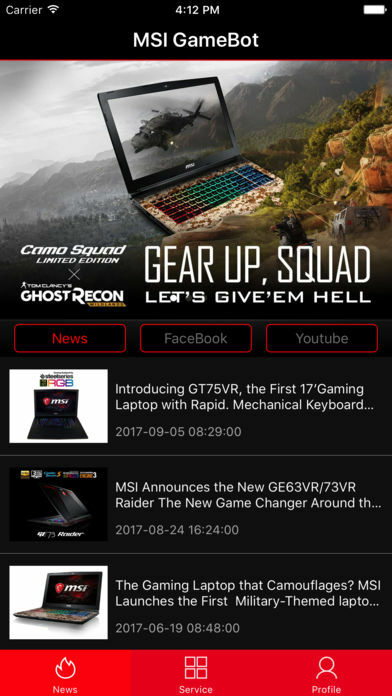 No need to find different app for different purposes, this app solves all you need from MSI. 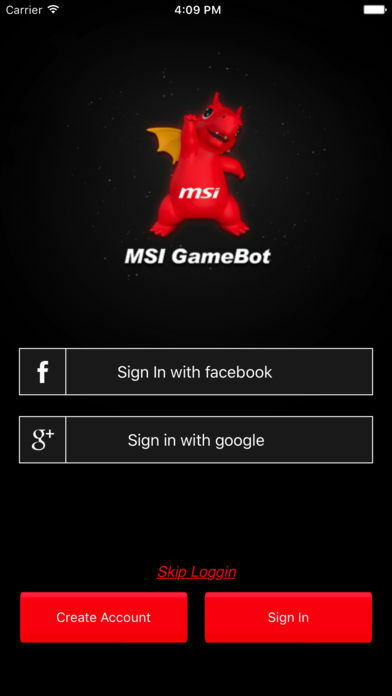 Re: MSI GameBot - Register your products by MSI GameBot now! Very nice app, easy to use and well done. It got a 5 star rating from me. How can i get more points msi forum ? Very useful app. Also a decent way to get some extra Points Lovely. Nice app ... installed, and registered my new modded Infinity X , but didn't get the PC registration points for some reason (registration stopped at step #4, so I didn't get to complete step #5 ). Any way to fix this? ... the product ended up being registered, but no points given. Help ! remember WHO YOU ARE !!! 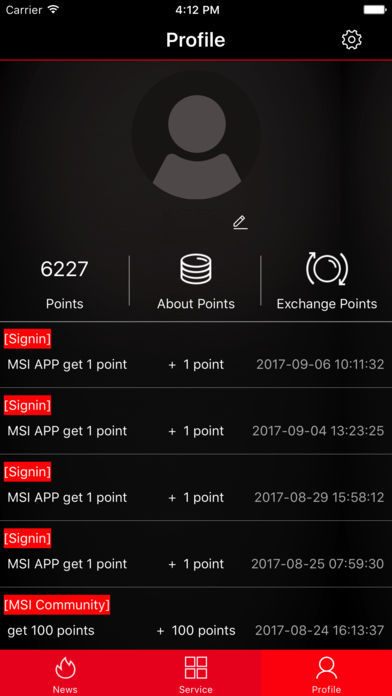 you can get points on MSI GAMEBOT as well as MSI COMMUNITY app give you the about 100 point....total 200 points on msi community and gamebot. I install this app. But can you help me point earn topic. 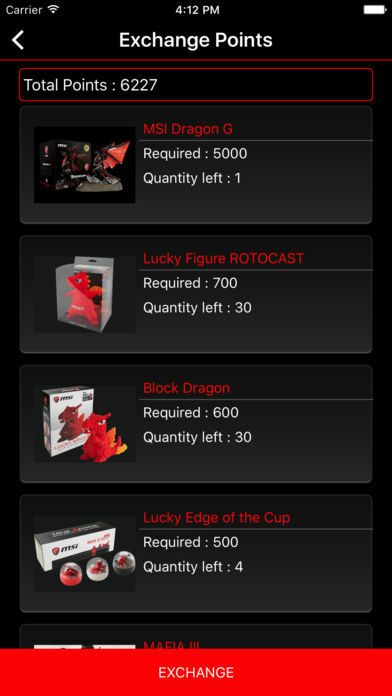 how can I earn about MSI unboxing or OC game article? I want to increase my MSI point. Hi, i bought two msi interceptor ds b1 gaming mouse and i registered via gamebot app but i didn't get points(in normally need to get 50 per one). Can someone help me? I bought a used GE62 6QD and I would like to register it on https://register.msi.com. I already know the serial number (GE62 6QD-274USK1511000038) and I tried to register it but it gives me an error code E01, when I try to put just 274USK1511000038 it gives me error (cannot find product information). Could you please help? Either I should not bother with registring a product that is not new or there must be something I am doing wrong. I keep getting the (002) error code when trying to register my NoteBook, any reason why? Is this any faster than the manual product registration? Hoping to get my A:O key before the weekend. Please, I need help downloading & installing MSI GameBot. Looking at the 2 downloadable versions of Gamebot, 1 is for Apple mobile phones and the other is for Android mobile phones. I've got an MSI GT75 Titan 8RG-094US laptop, with 64 bit Windows 10 OS. I'd like to try Gamebot, but I can't download or install either version since they are for mobile phones. So how do I get the app installed on my laptop? Is there a mobile phone simulation app that I have to download, and then install Gamebot in the phone simulation app? Any help will be appreciated!!! Yesterday, I was prompted by my iPone to update this app, so I did. Now I cannot login, all I get is " Connection Error Please try again later" Well its 24 hours later and still get same error message. I'd suggest if you're going to publish an update you confirm it works.